4gb. Full Colour Digital Print. 48 Hour Turnaround. Minimum Quantity: 25. Supplied in Satin Lined Box. Available in Clear Transparent. Minimum Quantity: 1. 1gb - 16gb. Minimum Quantity: 100. Your computer serves as a link to the outer world. They are indeed going to be the future of the globe, whether we accept it or not as they give us it an easy access to everything and also make it so easier to keep one's memory book intact with loads and loads of photos. 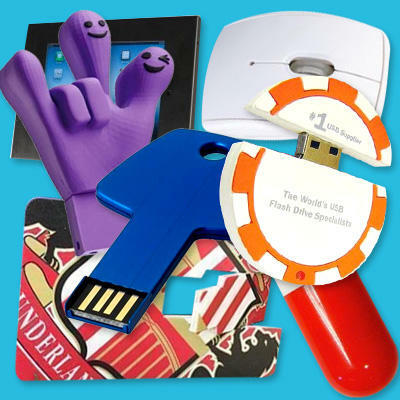 Not to mention that, people also love to get their own collection of every accessory available for computers and gadgets. The Pendrives, USB sticks, iPad holders and the list goes on. We have 2 In 1 Usb Flash Drive Memory Stick Pen, the cute Baby Wrist Band USB Flash Drive Memory Stick and the Unique Octopus Charger Cable. There was a time when these gadgets and accessories were only heard of as a luxury. However, today they are an unavoidable part of everyone's daily lives.